ANGRAU Jobs Recruitment Notification 2018.Acharya N.G. 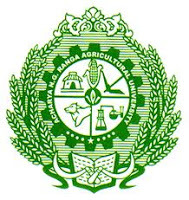 Ranga Agricultural University, Andhra Pradesh inviting applications for the positions of Visiting Medical Officer.Interested and Eligible candidates can apply for the positions. Total number of vacancies to be filled in Acharya N.G. Ranga Agricultural University is 07. Candidates those who have possessed bachelor’s degree in civil/ electrical engineering from a recognized university can apply. Applicants must be able to speak, read and write Telugu languages. Applicants age can be in between 18 to 42 years as on 01.07.2018. Age relaxation for SC/ST is 05 years, OBC is 03 years. Through offline mode by 14th September 2018 candidates can submit application forms for ANGRAU recruitment. https://www.angrau.ac.in is the link for applicants to download application form and send to below-given address. Acharya N.G. Ranga Agricultural University, Administrative Office, LAM, Guntur-522034.